•As wind-generated waves enter shallower coastal waters they generally become unstable and break, dissipating a fair amount of their energy. However, the remaining energy in the broken waves still has the capacity to cause shoreline erosion and/or suspend bottom sediment, which degrades water quality. 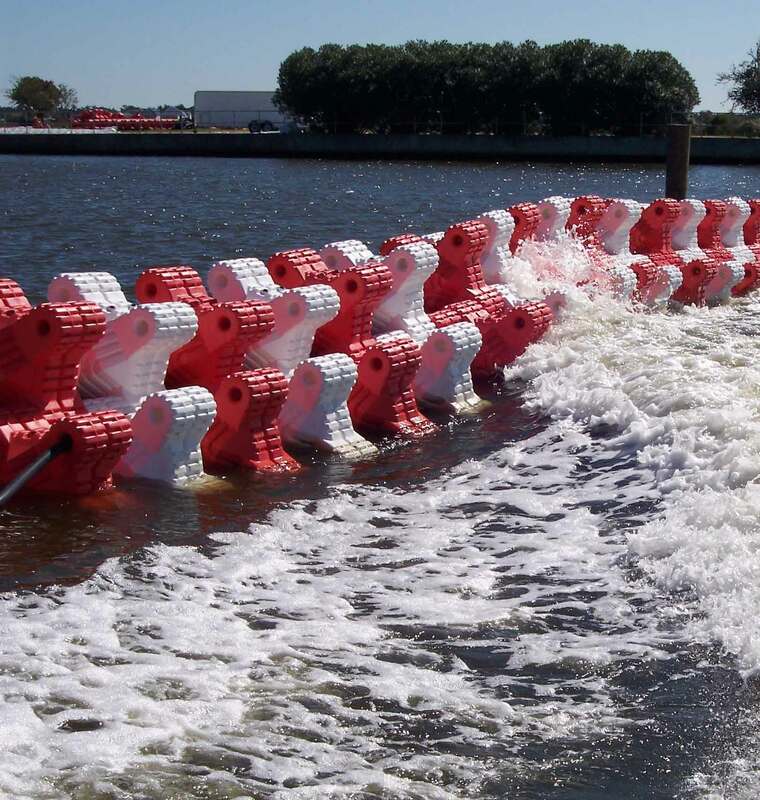 •Hi-tech’s Wave ABATER system (HWAS) helps extenuate the harsh effects of natural and artificial effects of waves. 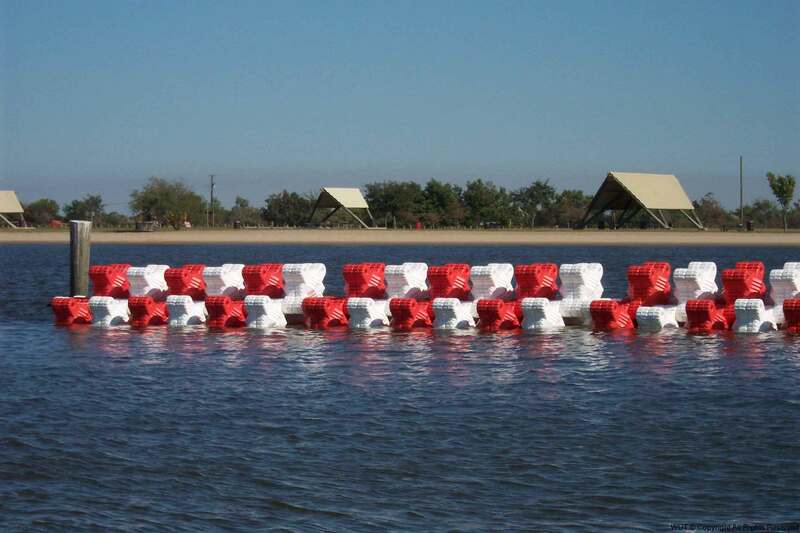 •The system is engineered to act as floating breakwater thereby reducing the effect of wave when it hits the system and renders safety to the marina basin. 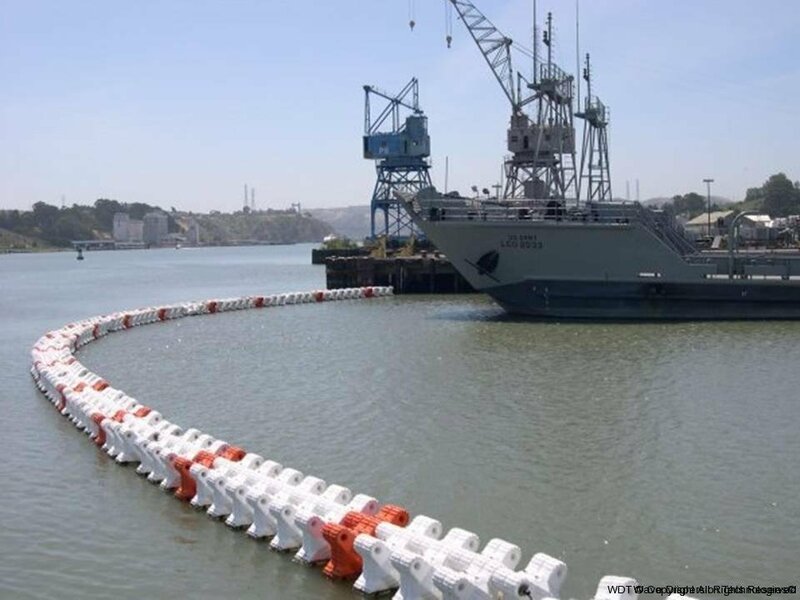 •HWAS helps protect the marine base from damages cause by wave effects and also reduces the client vessel oscillations & thus increasing efficiency & safety of loading/unloading activities. In navy applications & in offshore platforms, movement due to oscillations caused by waves need to be reduced for navy vessels & offshore platforms to operate to its maximum efficiency.